Born on Jersey, Richard Miller first discovered a love of high places among the Southern Alps of New Zealand. Since then a passion for travel and exploring wilderness has led to bouts of walking, scrambling, mountaineering and climbing in mountainous areas across the globe. 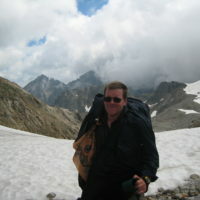 Latterly, having discovered the pleasures of continental Europe, he has concentrated his attention on the Alps and Pyrenees. 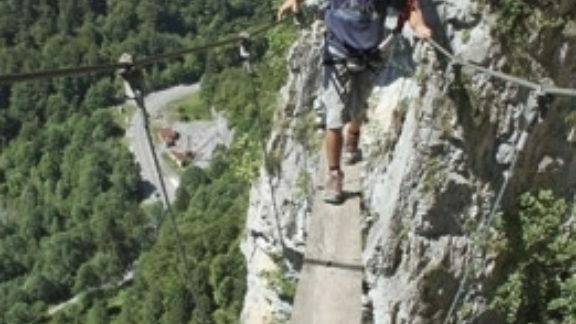 Like many Brits, his first experience of a via ferrata was in the towering spires of the Italian Dolomites. Having found this comparatively modern activity to his liking, he set about visiting as many via ferratas as he could and soon discovered a burgeoning number of new routes across Western Europe.